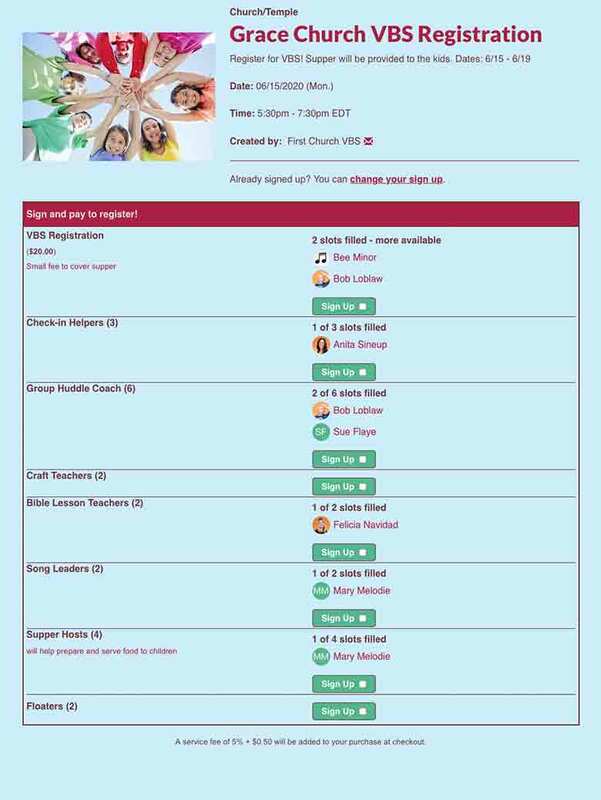 Manage camp registrations and collect fees for day camps, overnight camps, Vacation Bible School, sports camps and more with online sign ups. Complete our quick setup process to create a SignUpGenius account and enable it to collect money through our partner, WePay. Build a sign up with our step-by-step wizard to register campers and collect money. 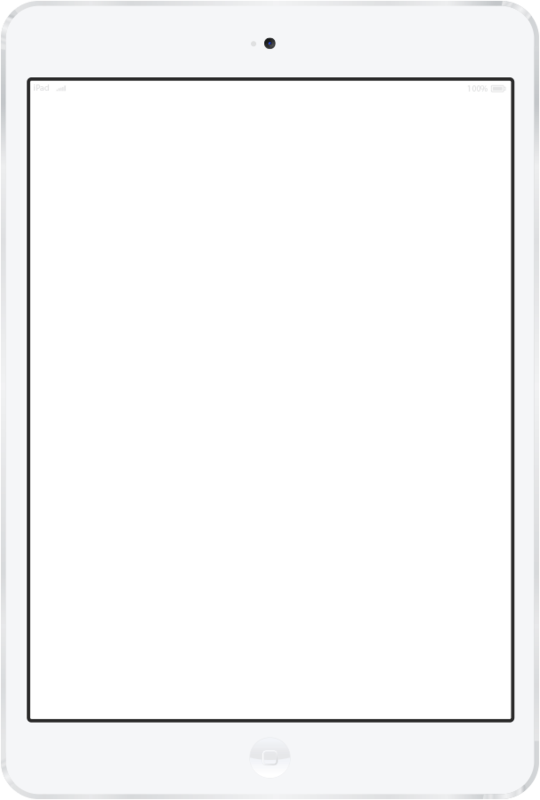 Payments can be optional or required. Participants can pay for items with a credit card or debit card. The money will be deposited into the organization's bank account. 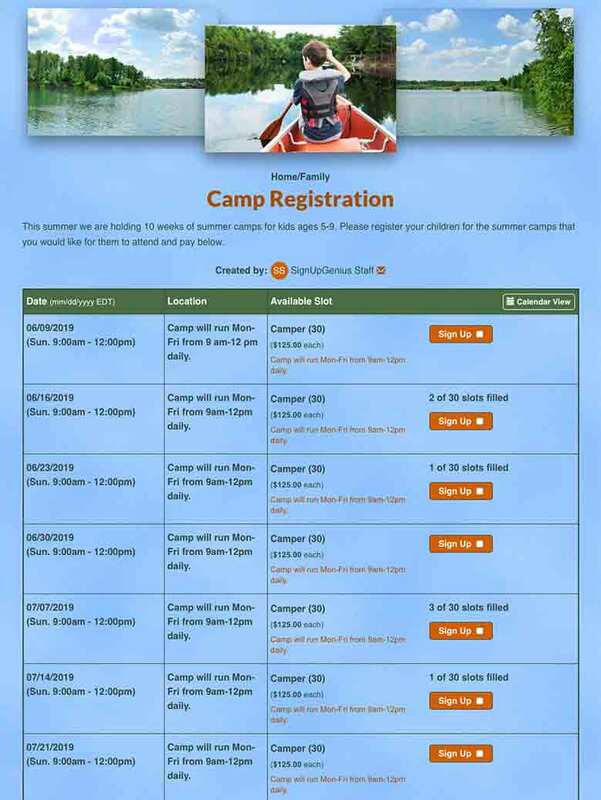 Coordinate summer camp registrations and collect online payments for day camp, sleepaway camp and more with an online sign up. Register kids for sports camps such as basketball, soccer, baseball, football, tennis and more with online sign ups. Sign up campers and recruit volunteers in one place with an online sign up. 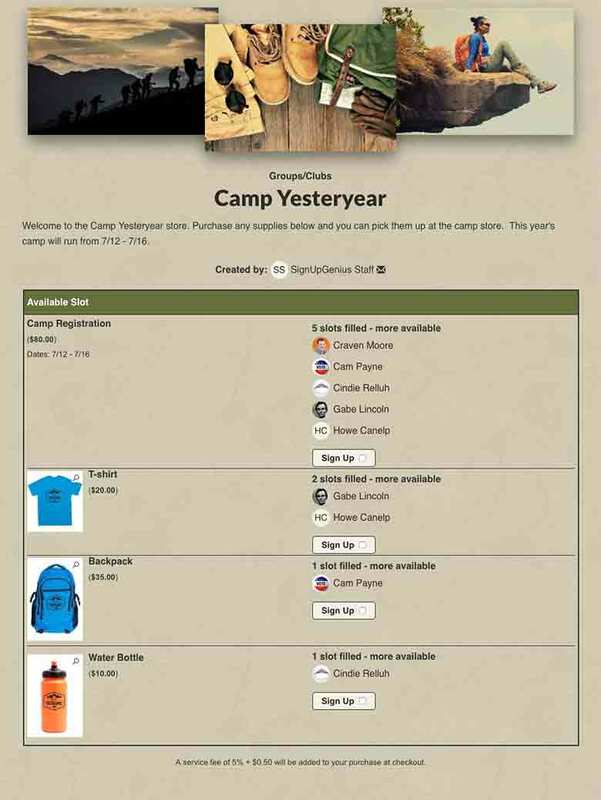 Coordinate sales of summer camp supplies and branded products for camp participants to purchase. 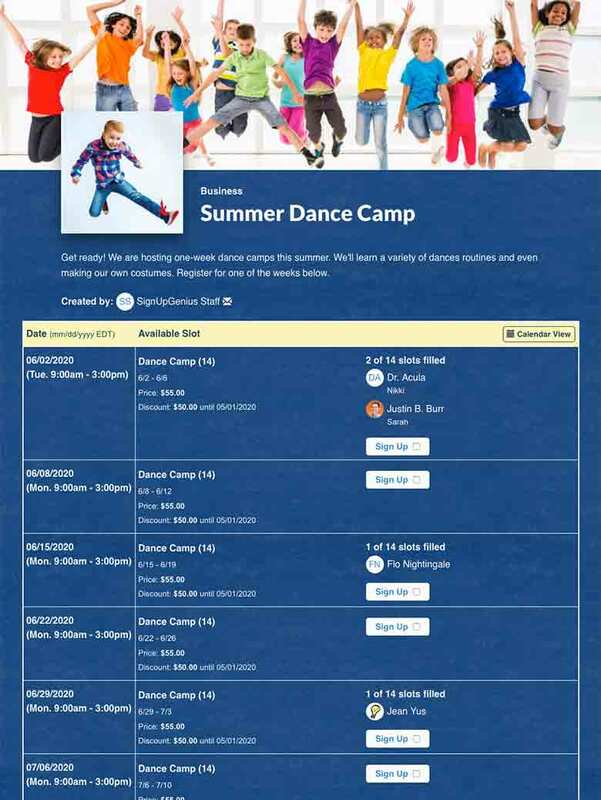 Manage fine art camps like dance, theater/drama, pottery and more with online sign ups. Camp participants do not need to create a SignUpGenius account to register. Camp organizers decide whether fees are paid by campers or the camp. Organizers can set up registration discounts based on the date or quantity purchased.